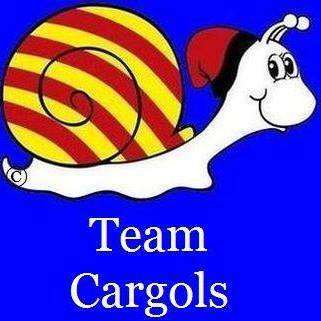 Team Cargols is a Perpignan-based association created back in 2014. Their goal: promoting and developing snail cuisine, in particular, the “petits gris” (little greys). Via their culinary crusade, they also seek to forge social connections and build friendships for a more humane society. Well, if snails aren’t bothered by gender, colour, religion, political persuasion or age, why should we be? How often have you talked about spending time with loved ones, but then something came up? How often do you promise yourself to get out there, only to find another weekend spent at home? 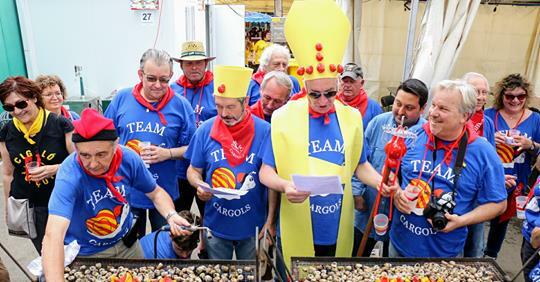 By creating this cargolada* celebration, Team Cargols hopes to encourage families, friends, associations and communities to come together around the humble snail. 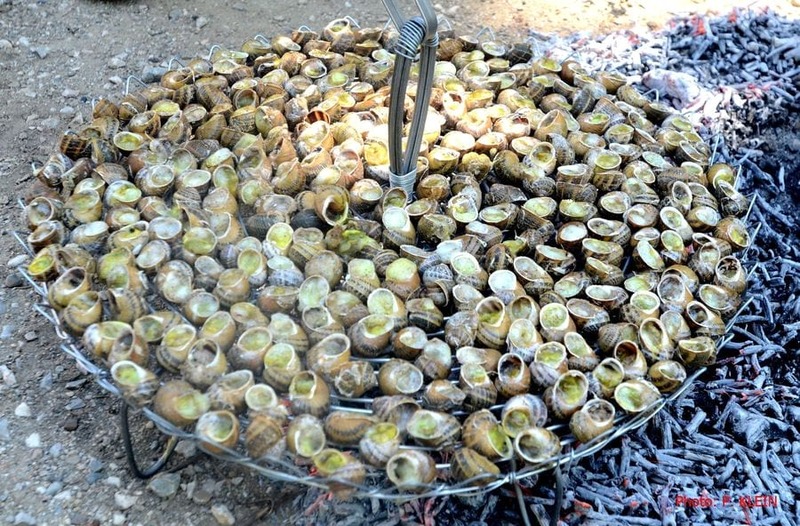 The Catalan tradition for an “-ada” (a meal, usually for many mouths, based around a single ingredient which could be anything from snails to chocolate – bullinada, cargolada, calçotada etc), often creates some highly unusual, charming and community spirited festivals. Often grilled or barbecued. Setting their plan into motion, the Universal Year of the Snail was declared during the 2018 summer solstice on Mount Canigó and the team have a jam-packed calendar! During the Renaissance stage, the team tour around food festivals and hospitality salons, developing links across North and South Catalonia. Kicking off in our very own Le Soler and finishing in Palma, Majorca, they even head out to Budapest on the quest to share Catalan cargoladas with the world! As with human New Year’s Eve, passing from Renaissance to Bombance is also cause for big celebrations. Get in on the fun and join the Aplec del Caragol on the 1st and 2nd June in the Catalan town of Lleida, just inland from Barcelona. Every year, this celebration brings together over 100 associations and more than 200, 000 visitors! Team Cargols is the first non-Spanish association to become part of the festival, so be sure to watch out for the red, white and blue uniforms! From Lleida, the snail trail glides its way north stopping on Mount Canigou the 23rd June (as part of the Saint Jean celebrations) and in Perpignan the 24th June before finally arriving in Toulouges for the Festival de l’Escargot the first weekend of July.